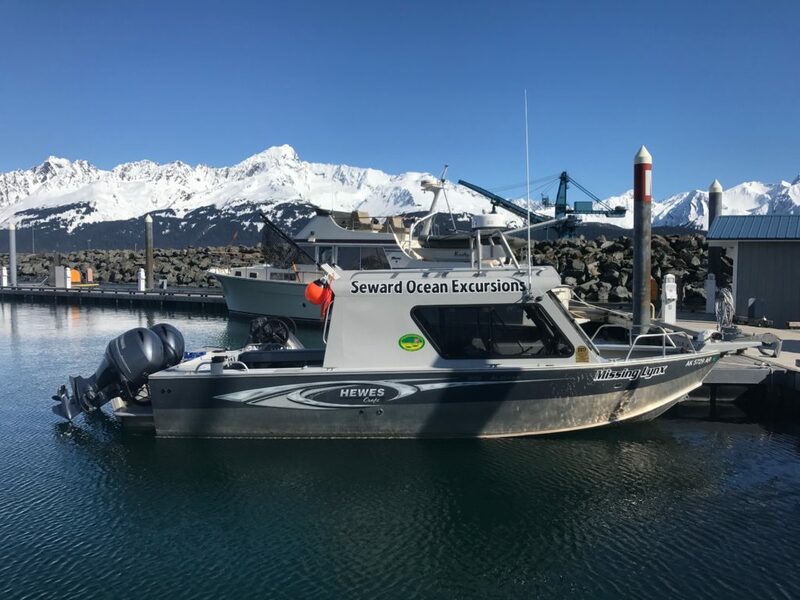 Missing Lynx is a 2016 Hewescraft 240 Alaskan with twin 115 Yamaha outboards and Lost Lynx is a 2018 version of the same boat. 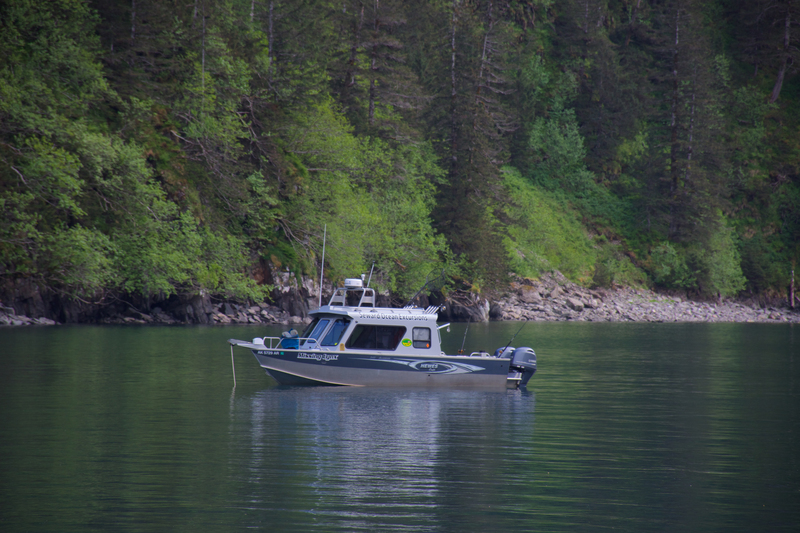 The boats are meticulously maintained with redundant backup and emergency gear. 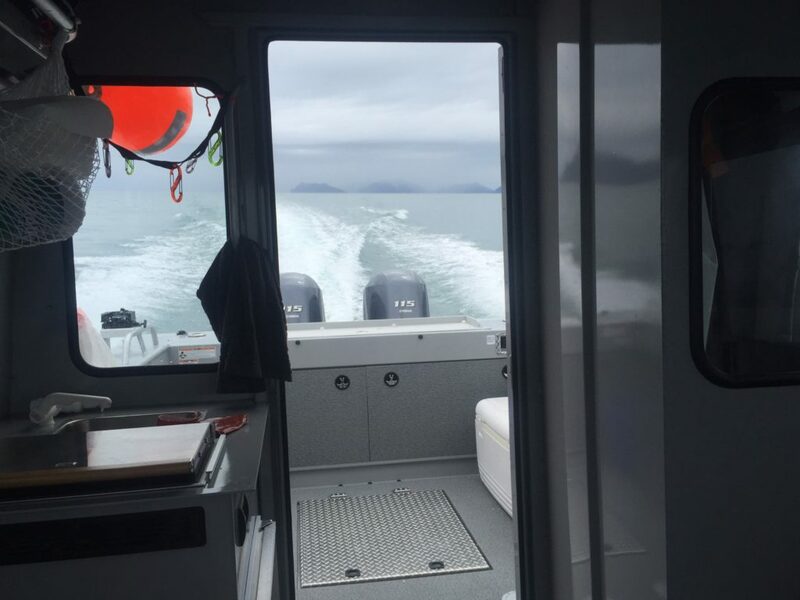 In fact, we go over and above the minimum required safety gear and are equipped with multiple radios, EPIRBs, satellite trackers, and life rafts. 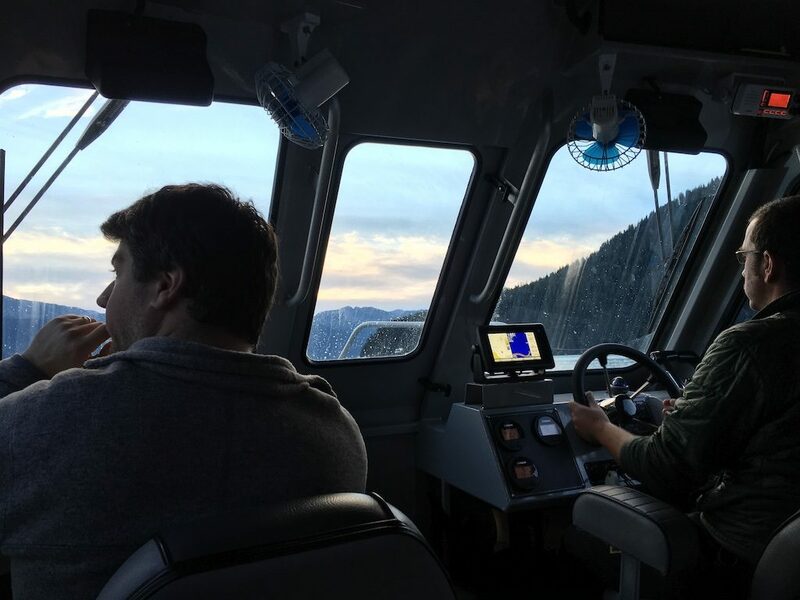 The vessels are fully equipped with the latest sonar technology, multiple VHF radios, HD radar, and chart plotters (GPS). We operate them as Uninspected Passenger Vessels (UPVs), which means we can legally accommodate up to six guests at time per boat. Missing Lynx and Lost Lynx are equipped with marine heads (toilets), diesel heaters/stoves (for your warmth! 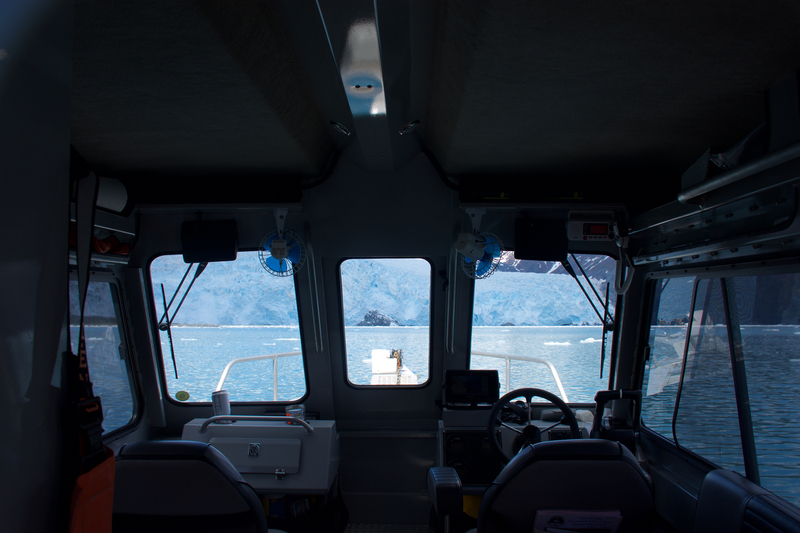 ), pressurized fresh water, tons of interior storage, and ample, comfortable seating. Their simple seating arrangement and window layout allows for 360-degree unobstructed views from inside the warmth and protection of the cabins. Even on those blustery winter days or rainier summer days, one can enjoy the surroundings without venturing outside into the elements! One of their most unique features is the fore and aft doors and decks for wildlife viewing, outdoor storage, and beach landings. Sometimes you just need to climb on the bow to get that great shot of an orca! 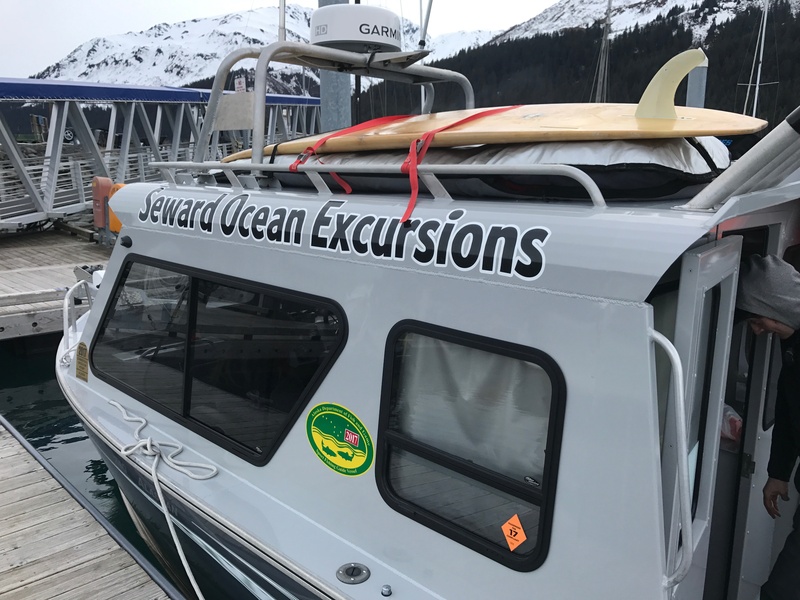 While underway, the back decks are protected from wind and are a great place to hang out if you wish to stand outside while we transit to a new location. The Missing Lynx and Lost Lynx are capable of cruising at up 40 knots, but we generally cruise about 20 knots for a more comfortable ride. However, our high max speed means we can get to the wildlife and scenery fast if time is an issue! Our captains are very meticulous on maintenance, safety, and cleanliness of the boats. Captains Bixler and Krystin are their original owners and take pride in taking care of their boats and offering a safe and awesome experience on the water. Why the name Missing Lynx? While out riding his fat bike one day, Bixler broke the chain and used a “missing link” to fix it on the trail. While toying with the chain, he was thinking about our new boat we just purchased and our son that was on the way. Then he had an epiphany. It seemed that the two missing links in our life were finally forged: our boat and our boy. Since we named our son Lynx, we decided to incorporate his name into the name of the boat, hence the Missing Lynx. 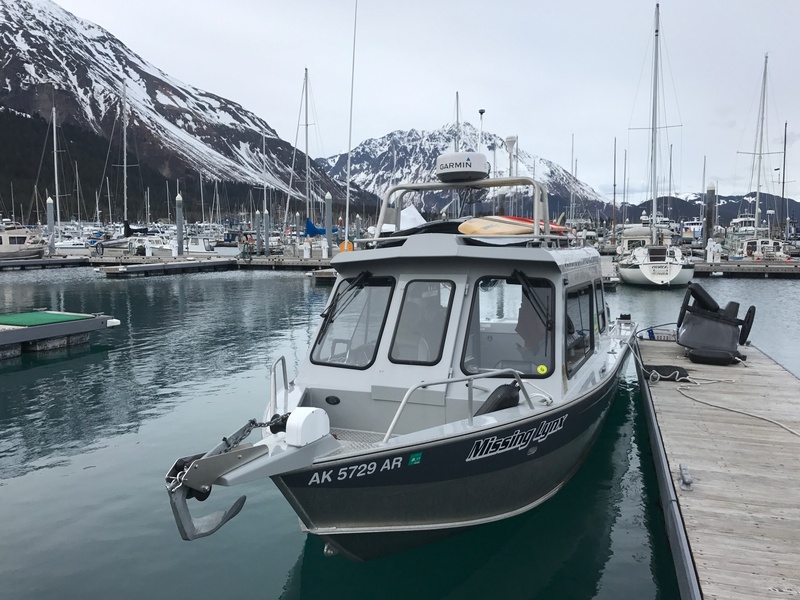 In 2018 we added a second boat to the fleet, and decided to stick with the same thing and named her the Lost Lynx.